Here are three Melbourne based labels doing things a little bit different. Not only is everything these ladies make handmade and therefore one of a kind, it is supporting Melbourne small business which is always worth it! They all have web stores which makes shopping even easier! I would love to know what you think! Recently I have seen Emily Green’s profile everywhere partly thanks to her releasing a set of nail polish colours in collaboration with Bloom Cosmetics (of which I think I need to buy every colour). 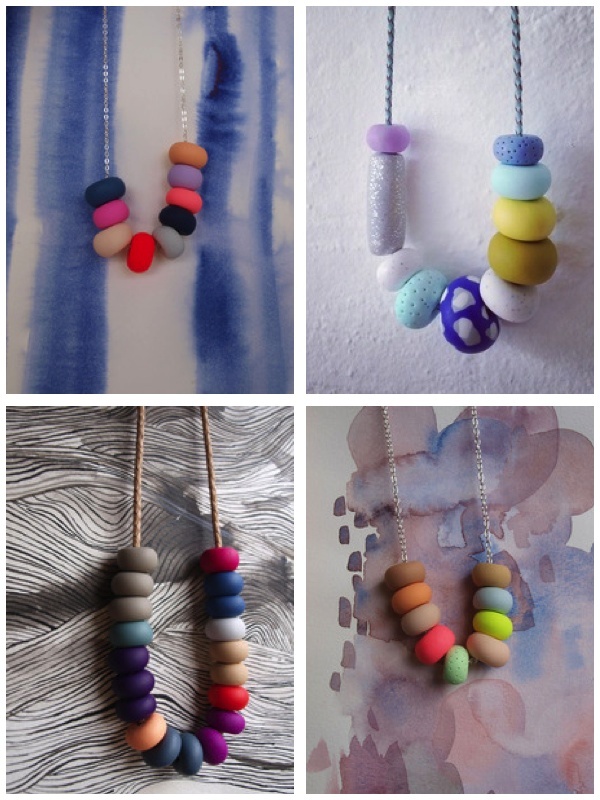 Emily creates artwork and accessories that are full of colour and interesting shapes. From the press I’ve seen, she would be best known for her water-colour paintings and her quickly-becoming-famous necklaces (My favourite is the Peri necklace). Everything is handmade, from each individual bead to the scarves. Any one of the necklaces be a nice pop of colour amongst the usual sea of black that a lot of us Melbournians are adorned in for winter. 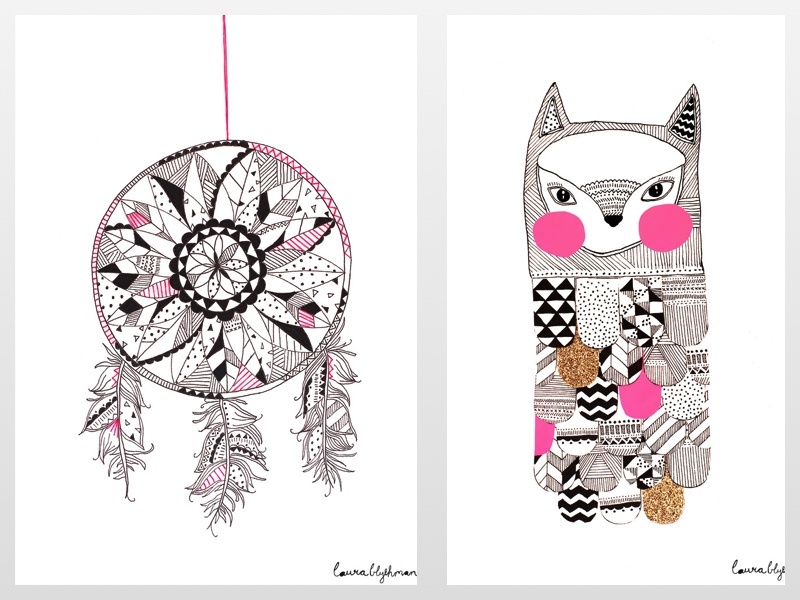 Laura is a designer who creates graphics, illustration and product development for all types of companies and individuals such as stationary, invitations, textiles and much more. I came across her work as she has a range of prints showing at the Kaleidoscope Gallery in Geelong in an exhibition titled ‘Love, Lyrics, Neon’. 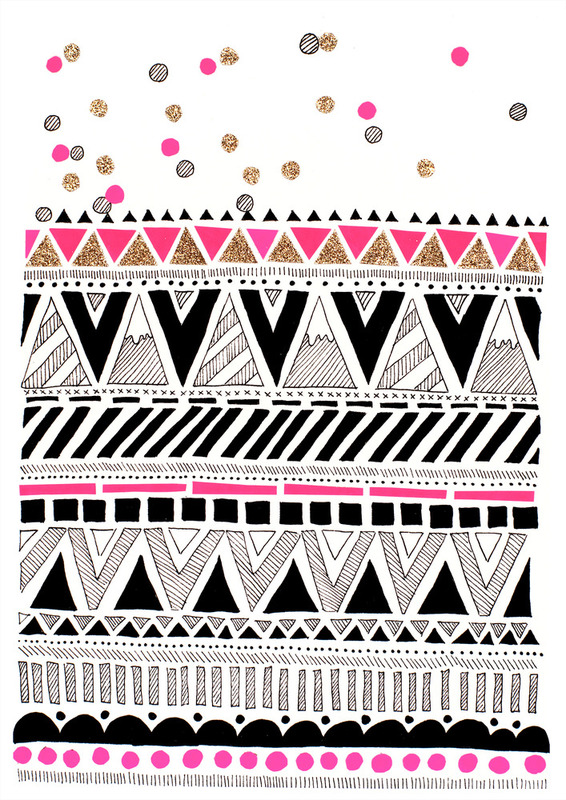 This range of designs are hand drawn and have quirks like hand stitching and glitter. I absolutely love the wall hangings and the fox print! On her web store, prints of these designs can be purchased so you can have a bit of neon fun at home! ‘Love, Lyrics, Neon’ is showing at the Kaleidoscope Gallery in Geelong until the 23rd January. These ladies hold the market for a quirky little something different. They make one-off pieces that are so bright and fun. 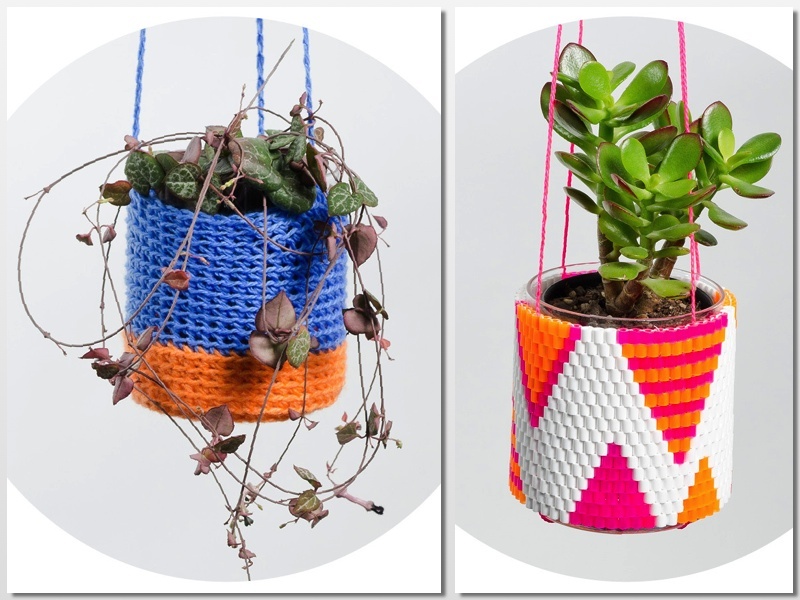 Probably best known for their hanging planters which are either beaded or crochet. Such and easy way to add some colour to any room! There is also a range of prints which mix a range of concepts and colour, all of which are available on their web store. Disclaimer: This week the photos are not my own, they were accessed from the respective designers web sites. All opinions and thoughts are my own. Yay!! Laura’s work is brilliant, it makes you smile and lifts your spirits & we need more of that these days : ) Great to see more people discover it. Indeed it is! Thank you so much for your comment! I just clicked through to you lamps, they are amazing! I will have to have a better look for sure! I have to say… I just want to eat those necklaces. Mmmmm, fruitloops. Oh Jas thats exactly what I thought too! Delicious! Love the Emily Green product. I might have to get myself some!!! Me too Elise! I just cant really decide which one! !